Federal Healthcare Fraud Attorneys - Oberheiden, P.C. A question of critical importance in every healthcare investigation is whether the case can be resolved civilly, i.e. without recourse to criminal prosecution. Often, the determination as to whether a case is civil or criminal is unclear at the beginning of the case because the mere receipt of an OIG subpoena for example or the interview request by federal law enforcement agents alone do not necessarily point into one direction over another. Healthcare fraud is a hybrid area of law. Under federal law, the government has the option to investigate healthcare fraud civilly or criminally or both. Civil: In a civil healthcare prosecution, the government is convinced that an individual or a company committed healthcare fraud, but the violation was not as deliberate and willful to justify criminal prosecution. Instead, in civil investigations, the government will demand a recoupment of overbilled funds in addition to a civil penalty. For example, if a company overbilled Medicare by $ 1,000,000, the government may, in order to resolve the case by civil settlement, ask for a repayment of that $ 1,000,000 plus a penalty at the factor 1.8 resulting in a $ 1,800,000 total penalty. Many of these civil investigations originate from False Claims Act violations and so-called qui tam lawsuits. Criminal: On the other hand, the government may open a criminal investigation against individuals accused of healthcare fraud. In a criminal prosecution, the government’s objective is to indict and to ultimately request a court to incarcerate a defendant. In criminal cases, the penalty for healthcare fraud is a range of 0-10 years incarceration in a federal prison for each count of convicted healthcare fraud. For example, if a physician is accused of routinely billing Medicare for expensive surgeries without actually performing the services, that physicians could be indicted separately for each count of billing fraud. In that hypothetical, the defendant could face 0-10 years for each count, which could quickly result in dozens of accumulated years in prison. Each year, the government indicts approximately 1,500 defendants nationwide for healthcare fraud. Because few healthcare investigations start out with clear signs that the case is unambiguously civil or criminal in nature, experienced attorneys are needed that can read between the lines and that have open channels with the government to find out about the nature and objective of the investigation. A classic starting point is an OIG subpoena. 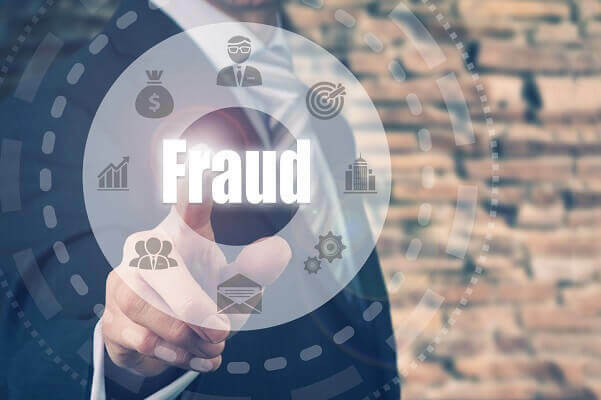 Every year, the Office of Inspector General, a federal government entity that investigates healthcare fraud, issues thousands of subpoenas ordering healthcare executives, business owners, and targeted companies to produce specified documents. The idea behind these subpoenas is to force the company to produce documents that would demonstrate fraudulent activities. Often times, the government will request corporate documents, contracts with referring physicians, marketing materials, as well as internal email and text communications. Since many people underestimate the relevance of emails, attorney advisers know that a casual correspondence produced to the government can often be the starting point for a criminal investigation. Because OIG subpoenas do not specify whether the investigation is civil or criminal and many civil investigations can turn criminal, experienced attorneys must be called to action to navigate through the investigation and to avoid criminal charges. What Are the Signs of a Criminal Case? First off, the fact that a prosecutor handles a case does not mean that the investigation is criminal. Unbeknownst to many, just like healthcare fraud is a hybrid statute, so is the division within the Department of Justice. Each local U.S. Attorney’s Office has a civil and a criminal division and each office is divided into prosecutors pursing criminal matters and those pursuing civil investigations. Similarly, the involvement of federal agents does not amount to the conclusion that the case is necessarily criminal. Selecting the right attorney to navigate through a federal healthcare investigation is a good investment. After all, when your business is being audited and your livelihood is at risk, you don’t want to explain your particular industry to an attorney. You must expect your attorney to be profoundly familiar with healthcare laws as well as what it takes to prevail in an audit. Lack of experience or wrong decision-making can turn any healthcare case into a criminal prosecution. So, don’t waste your time with inexperienced lawyers. Trust lawyers with a proven track record of successful outcomes. Grand Jury Investigation against Physician for Healthcare Fraud. Result: No criminal prosecution, license maintained. If you are a target of a healthcare fraud investigation, you should seek legal advice immediately. The attorneys at Oberheiden, P.C. offer you a free and confidential case assessment. Benefit from speaking to our former prosecutors and find out what needs to get done in your case to avoid charges or licensing revocations. If you have questions about healthcare fraud or if you want to discuss a situation with one of our attorneys, you should not hesitate. All initial consultations are free and confidential. We are happy to hear your side of the story and share our experience with you.